How to apply the license key? 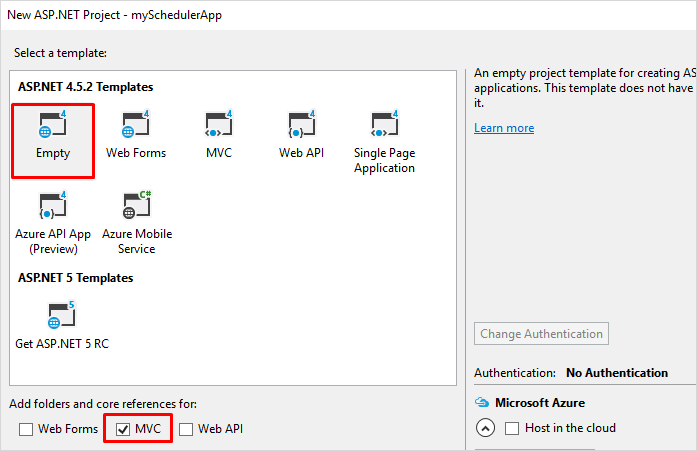 This tutorial describes the process of adding a scheduler into an ASP.NET MVC C# application. There's also a Video Tutorial available. You may follow these simple instructions to create the application or download demos here: Download Scheduler .NET package. Select an Empty template and tick the MVC box. After that click OK.
Once you have created a new .NET project, you should add the reference to the required library - Scheduler .Net. 1 . Right click on your project in the Solution Explorer and select Manage NuGet Packages. 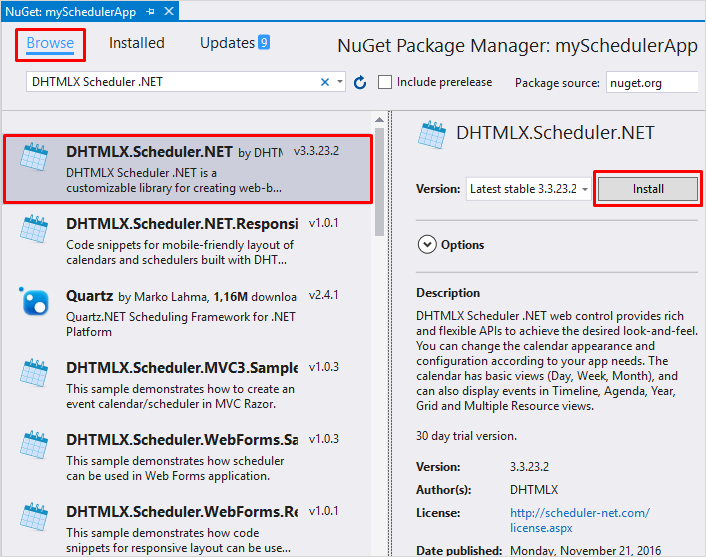 It will open the Manage NuGet Packages dialog box. 2 . Now select the Online option in the left bar and search for DHTMLX Scheduler .NET and EntityFramework. While the DB tool is open, you can add some data to the table. Define the connection string to the database. To do this, open the Web.config file and add the definition of the connection string at the end of the configuration section. Note that the connection string for Visual Studio 2015 will differ from the connection string used in Visual Studio 2013. Let's create necessary classes for our Calendar. First, we will create simple Event class. 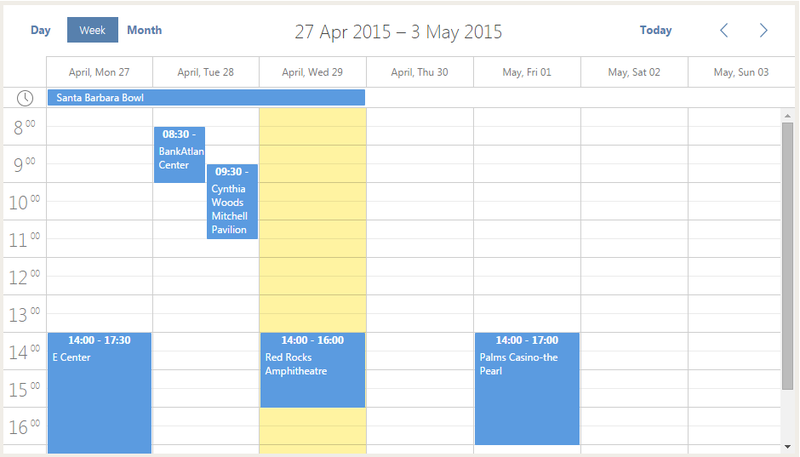 Controller action Index() exposed by the BasicScheduler class returns a view. The view contains markup and content that is sent to the browser. Note that, when the scheduler is rendered, it adjusts its height to the height of the parent element. That's why, when you use 'Model.Render()', make sure that the parent container isn't collapsed and has the initial height set. Otherwise, scheduler won't be displayed. Note, in the RouteConfig class you should set the 'controller' parameter to 'BasicScheduler'. Leave the remaining parameters as they are. That's all. 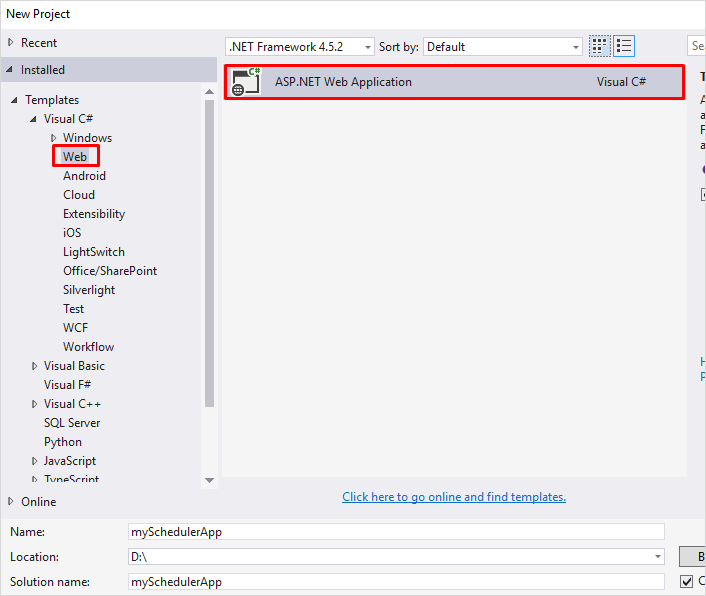 A basic ASP.NET MVC C# Application with Scheduler is ready for use.